A very smart friend of mine gave me a great idea over a glass of franciacorta the other day. I am taking her advice and starting a new occasional topic here on Gillian's Lists of things I love called Gillian's Links. These links might not have anything to do with Rome but will more likely be a curated mishmash of my eclectic discoveries. Things like music I am listening to, books I am (or am planning on) reading, films I watched, links I love, maybe a pretty website, a great article. You get the idea. I'll kick the first edition off with some of the things I discovered (and rediscovered) over the long, lazy holidays. While much of the world is raving about Tarantino's latest, It will be a little while before Django Unchained makes it's way to Rome. We got our Quentin fix with what may be one of the most perfect films ever made. "But you know the funniest thing about Europe is? It's the little differences." 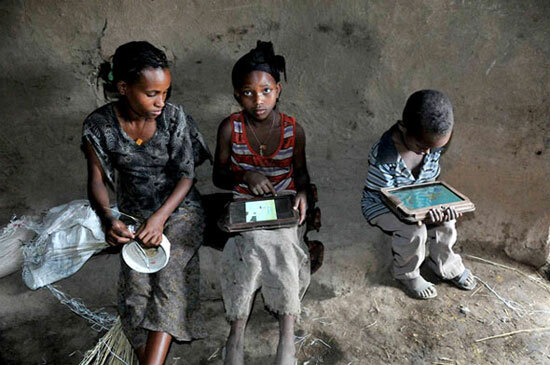 One of the best stories I read this year was about boxes of tablet PC's dropped off in two remote rural villages in Ethiopia. Read what happened here. I don't get to meander around the internet for fun all that much anymore. So when I do decide to take a break and wander for pleasure and not work it had better be good. 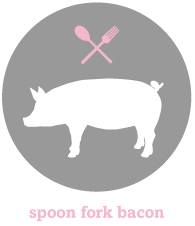 Spoon Fork Bacon is one of those places. I has all kinds of things I love. It's pretty, it's about cocktails and desserts and savory crunchy things, there is great typography. I could go on, but go and see for yourself. What a good idea for a new series! Thanks for the links and happy new year, Gillian! Thank you Ann! A very Happy New Year to you too! I just saw an ad for Django. It comes out in Rome this month. I think I will wait for the DVD and watch it alone at home.